I made some dado cuts using the PowerPro for the first time-big difference! I was cutting 3/4″ wide by 1/2 deep dados and the machine just powered through with almost no effort. I also found (not sure why yet) that the resulting cuts were smoother. This video shows simple,quick techniques for setting up a stacked dado. 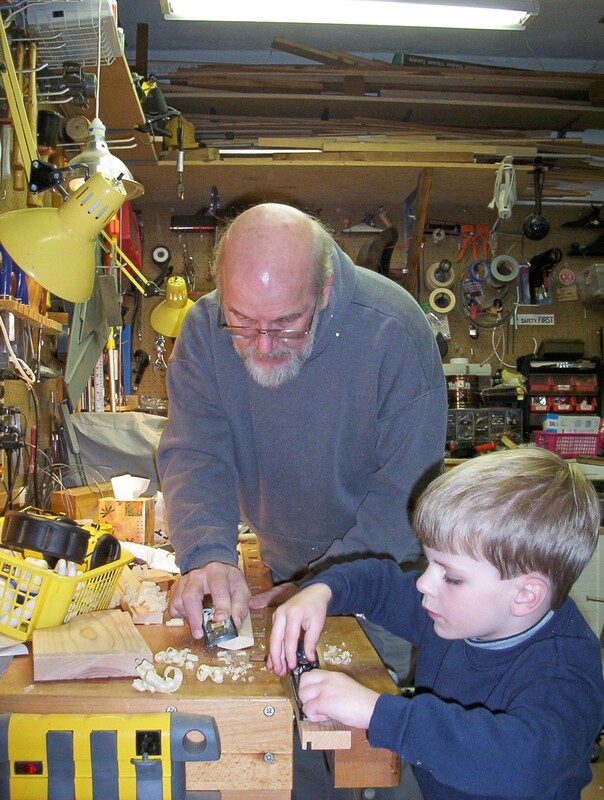 See related post on making a dado fence. 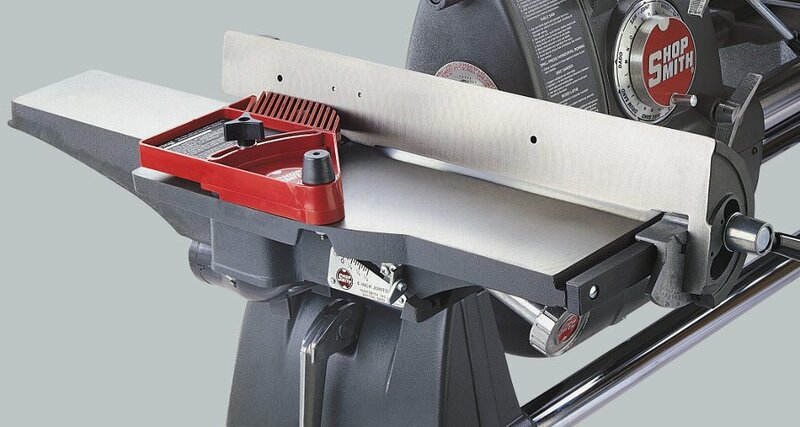 The New Mark VII from Shopsmith – Popular Woodworking Magazine. Mark V, Mark 7 out feed tables. Mark 7 set up with out feed tables for plywood, made with existing tables. Longtime Shopsmith instructor Doug Reid shows how to use the Power Pro controls, and why you should upgrade. (Or get a new Mark 7). Shopsmith’s new PowerPro headstock is the best thing Shopsmith has done since offering the 510/520 upgrades-maybe the best thing ever. The headstock comes standard on the new Mark 7, but can be added to any of the Mark V series, all the way back to 1953. You will get noticibly more power, ease of use, a quieter tool, and most of all, just more fun. The new motor (do a google search for DVR motors for more technical details) offers the more power for it’s size and weight than anything else I know of on the market today. The motor is controlled by a preprogrammed computer that sets not only the right speed, but the right amount of torque (usable power) for every operation…and does it on 80% less electricity. Contact me at shopsmithdoug@gmail.com for honest advice and opinions, and for the best prices on any Shopsmith products. Now, about the PowerPro: I like it, A LOT! The motor is a new technology that is neither AC nor DC in the way we would normally think of things. They call it Digital Variable Reluctance and a Google search will provide you with a great deal of information about this new type motor. For me, what is important: I get twice the usable torque at every speed! This has always been the missing ingredient in variable speed products. Whether slicing through heavy rip cuts in old warped cherry, turning large, out of balance bowls, or resawing on my band saw, the difference is clear. In fact, every operation that is powered by the Mark headstock gets an upgrade. I can take heavier cuts on my jointer, resaw thicker boards, crosscut and rip with ease, turn bigger bowls, more safely and efficiently. The motor is controlled by a computer that reads and adjusts torque requirements at a rate of 400 times per second, and not only gives me noticeably better performance, the folks at Shopsmith tell me the power usage is reduced by 80%. I found learning to use the PowerPro quick and intuitive. The only habit I found hard to break was using the main on/off switch, but that was quickly overcome with use. One of my favorite things about this new technology is the ability to improve it even more by a five-minute conversion to 220…really, five minutes. It simply involves removing the standard 110v plug and replacing it with a 220v plug, then plugging into a 220v receptacle. (If you don’t have 220v. in your shop, it is easy to add, if your circuit breaker panel is near, and it has room to add a circuit.) IF IN DOUBT, CONSULT A LICENSED ELECTRICIAN. Other good features: You can set a lock out code to keep kids or anyone else from operation your Mark V or Mark7. You can get so precise; for example, you can set exactly for strip sanding, 180 grit, hardwood, garnet abrasive. It’s just fun to use. Note: Susan and I contract with Shopsmith, Inc. to produce webinars for Shopsmith. We get paid commissions when people purchase Shopsmith products through us. However, as we have for 20 + years, we strive to provide honest advice and our best opinions in all of our dealings.